Can I Use Egg Roll Wraps for Making Wontons? 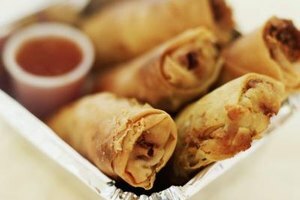 What Is the Difference Between Vegetable Spring Rolls & Egg Rolls? Fried spring rolls are made with a rice-based wrapper. 3 Can I Use Egg Roll Wraps for Making Wontons? The terms egg roll and spring roll are often used interchangeably in the American lexicon, but they are actually two distinct different items. While the lines may be blurred, knowing the difference can help you order these tasty Asian treats in restaurants, as well as prepare them at home in your kitchen. While there are multiple variations of the two, several points generally set spring rolls and egg rolls apart. Egg rolls are typically made with meat, usually pork or chicken, and vegetables such as cabbage and carrots. They are wrapped with a thicker egg-based wrapper before being fried. Spring rolls are thinner and most often contain only vegetables. 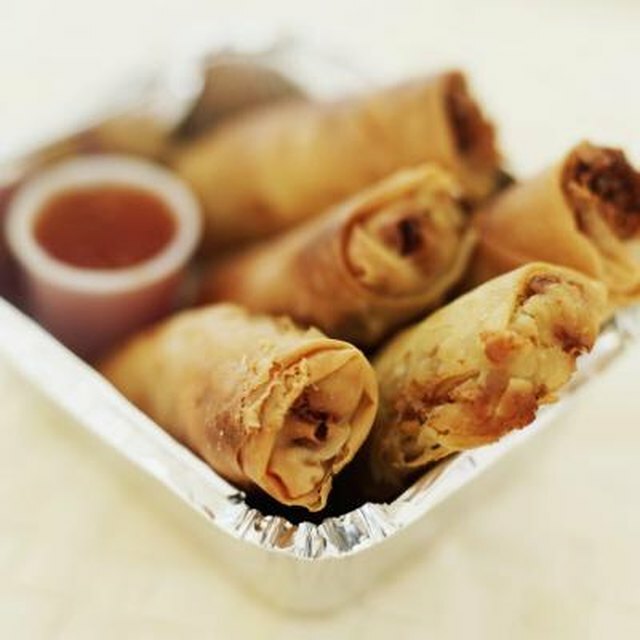 While commonly fried, spring rolls can also be served cold and not fried, sometimes being called summer rolls or garden rolls. Spring rolls most often are wrapped using a rice-based wrapper. Both are served with a sweet, sour and sometimes spicy dipping sauce.